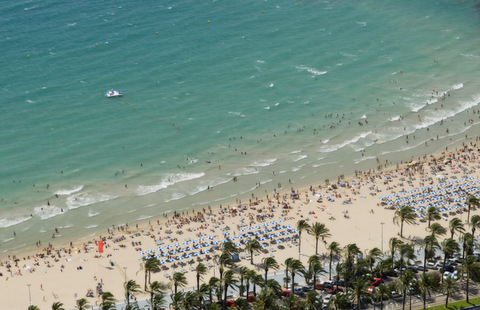 The morning out routes are designed to help visitors enjoy the best of Alicante, combining interesting places to visit with great views, gastronomy and the little hidden gems, which make Alicante such an enjoyable place to visit. Each route has been prepared to fill a morning, with variations of different routes to suit those with different levels of mobility and fitness. 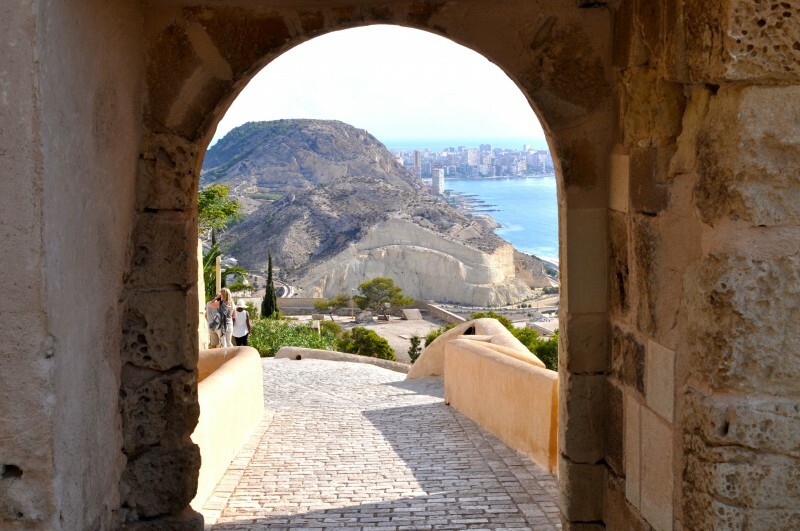 Route 3 captures the most historical aspects of the city of Alicante, taking visitors up the castle of Santa Bárbara, also offering the best panoramic views of the city and the port, and down through the picturesque streets of the oldest, most authentic part of El Barrio de Santa Cruz (old quarter). The route starts in front of the cruise ship port, at the top of Calle Muelle de Levante. 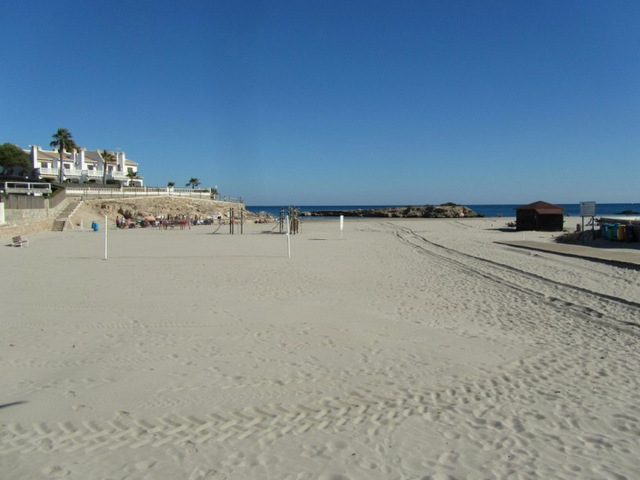 From here, visitors can turn right onto the beach promenade called Paseo de Gomiz, which runs parallel to the city beach, Playa de Postiguet. A short distance along the paseo there is a white alpha-shaped walkway. Just before the walkway there is a pedestrian crossing on the left leading to the other side of the main road, straight across to the clearly marked entrance to the elevator tunnel taking visitors up to the Castillo de Santa Bárbara. The elevator journey costs 2.70 euros and tickets can be purchased using the machines located in the tunnel entrance. 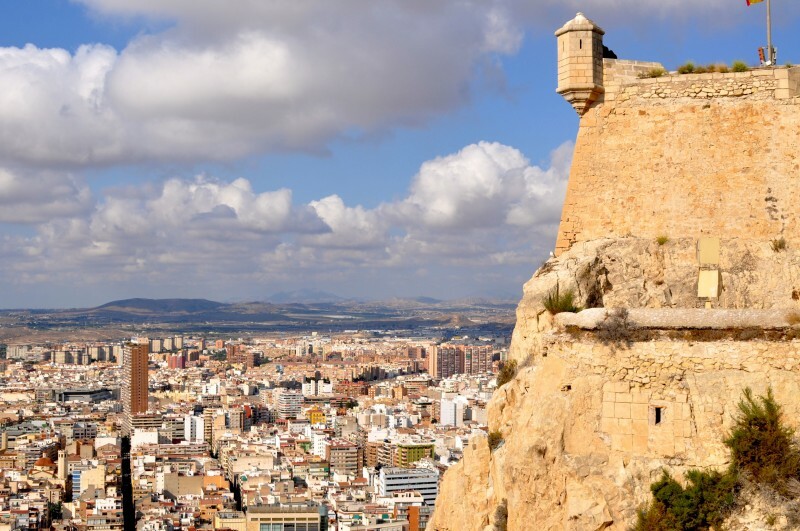 The Castillo de Santa Bárbara is one of the most significant attractions in Alicante city, its ancient fortifications dating back to the medieval period (9th century) when the Moors occupied the city. The castle stands on top of Mount Benacantil on the edge of the city facing the Mediterranean Sea, offering spectacular views of the city and the port. 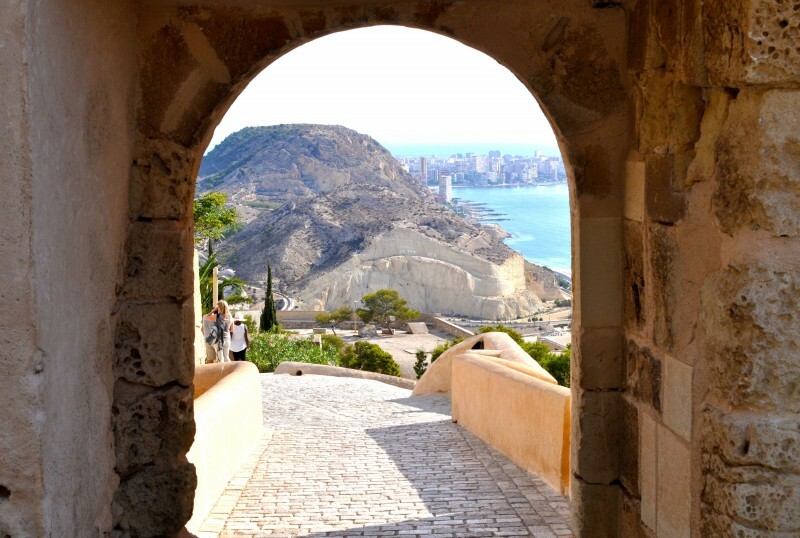 At the top of the castle visitors can wander around the grounds and make the most of the different viewpoints, as well as discover the history of Alicante by visiting the various exhibition rooms of the city museum, El Museo de la Ciudad de Alicante (MUSA). The castle also has a café where a first stop off for a drink or a bite to eat could be enjoyed before continuing on route. The café terrace offers impressive views, although the prices are a bit higher here than in the town below. 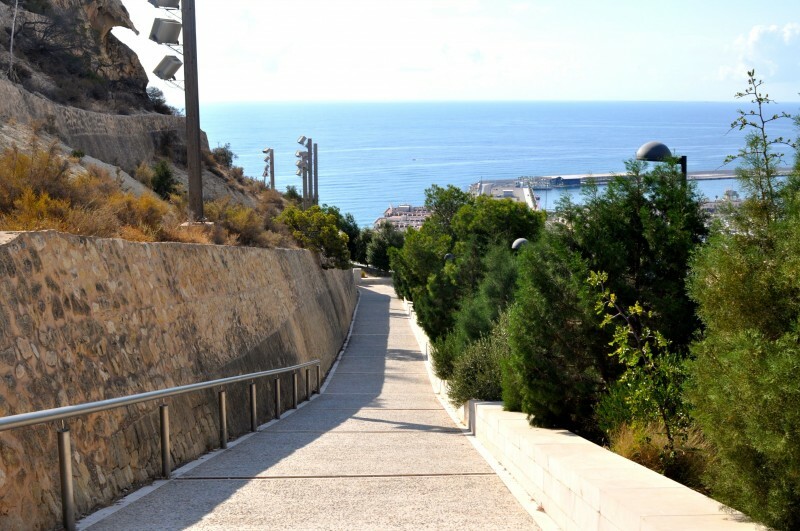 Those with limited mobility may find it comfortable to return back to sea level via the lift, and those who wish to see more can continue on downhill to the Parque de la Ereta and old town below. Leave the castle via the northern exit, which passes the castle car park and joins onto the main road. From here there is a path clearly signposted to El Parque de La Ereta. The path takes visitors up through an archway and down the south side of the castle along a zigzagged sloped path that leads towards the Ereta park. The path leads down a set of steps past the entrance to the Ereta restaurant and continues to the first of two sandy plazas with the Casa de Santa Claus located at one end. 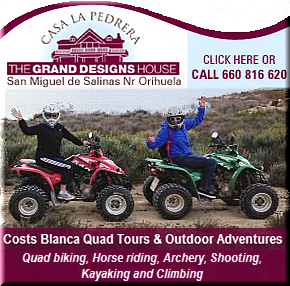 Take the steps that lead down to the right side of the Casa de Santa Claus. 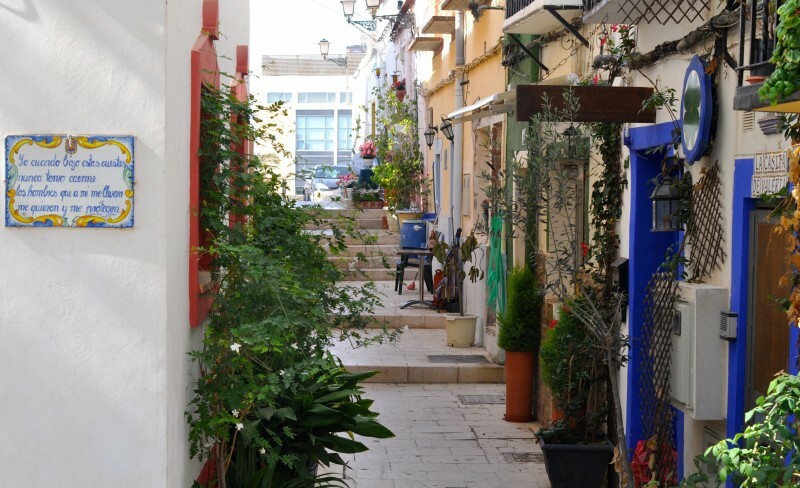 These steps lead visitors to the top of the residential street called Calle San Rafael. From here visitors can walk down the steps and explore both Calle San Rafael and the adjoining street, Calle San Antonio, both of which are home to some of the oldest houses in el Barrio de Santa Cruz, untouched and with their authentic Spanish charm maintained thanks to their location on the slopes of Mount Benacantil. These residential streets are home to some beautifully coloured houses and decorative plants, so this is definitely a place to explore at a leisurely pace and is a perfect photo opportunity. 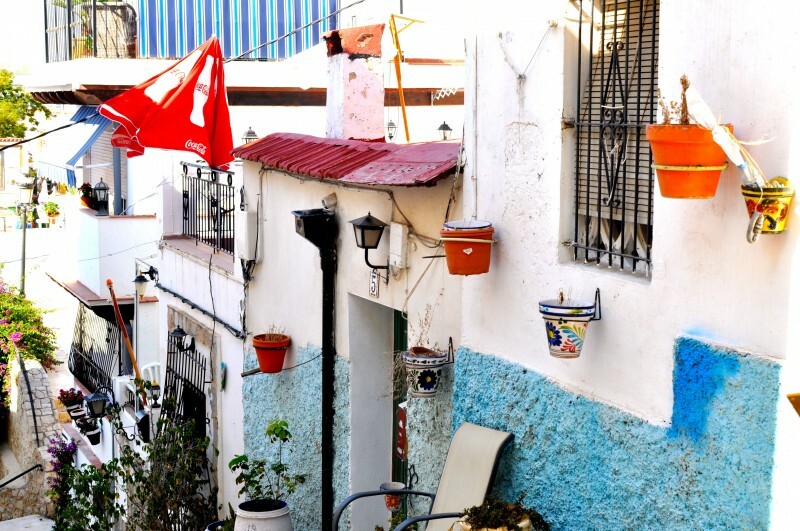 To start with, take a walk along Calle San Antonio, as from here there are clearly marked signposts to La Ermita de Santa Cruz, a chapel dating back to the 18th Century. The chapel is the starting point for the Hermandad De La Santa Cruz processions, which take place during Holy Week in Alicante. The chapel also has an excellent viewing point from which visitors can see the whole of the city and the port. Look out for the blue and white plaques dotted around the walls with verses of poetry accompanied by figures of Jesus representing the Via Crucis. Prior to the Semana Santa (Holy week) celebrations members of the brotherhood follow this route as an act of worship, stopping at each station of the cross to pray. If visitors return to Calle San Rafael they can continue exploring and then descend to Plaza de Carmen and turn right onto Calle Toledo. The street leads walkers to the tiny Barrio de San Roque, another area full of character with narrow streets, colourfully painted murals, flowerpots and a couple of traditional tabernas dotted along the street ran by Alicante locals. 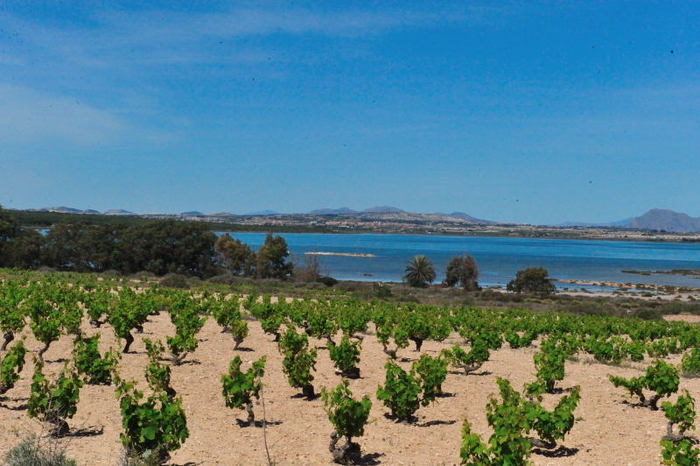 This area is also home to the oldest chapel in Alicante called La Ermita de San Roque, dating back to the 16th century. The chapel can be accessed via the steps that lead upwards on the left on Calle Pedro Sebastia, with more blue signs showing directions to the chapel. If visitors then walk back down the same way and return to Calle de Toledo, they can continue walking until it leads out onto Plaza del Puente. From here visitors can head back to the city port by turning right and taking the set of zigzagged steps leading down onto Calle Maldonado. Walkers can then turn left on Calle Maldonado and then turn right onto Calle Mayor. From here, head straight forwards towards La Plaza de Santisima Faz . This is a popular place among Alicante locals to sit and relax on the benches shaded by tall palm trees, and at night the area is transformed into a bustling square as the surrounding restaurants open up their large terraces onto the square. Then turn left through the archway called Calle Pasaje Pórtico II del Consist, which leads onto the Plaza del Ayuntamiento, home to the town hall of Alicante, an attractive building built in an elegant baroque style and dating back to the 18th Century. Finally, cross over the Plaza del Ayuntamiento and walk through the second archway on Calle Cervantes, from which the city port can be seen ahead. 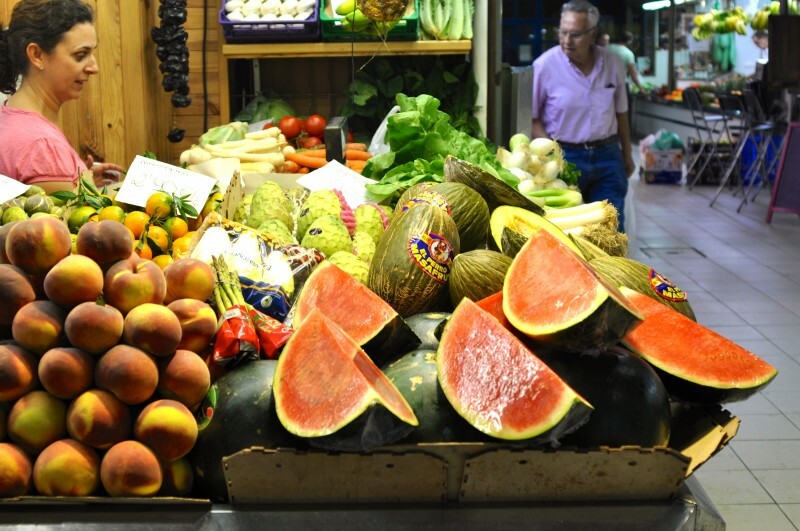 In addition, for those who would like to enjoy a spot of lunch, the area encompassing Calle Mayor, La Plaza de Santisima Faz and the adjacent streets is a very popular food district with plenty of restaurants serving Alicante cuisine including typical dishes such as tapas and ‘arroz’ (rice). This area always has a lively atmosphere in the evenings and its close proximity to the city port makes it a popular choice for tourists.